Located in the Sarrià-St. Gervasi district of Barcelona, just 2.2 km from La Pedrera, Alcam Augusta provides air conditioning and free WiFi. 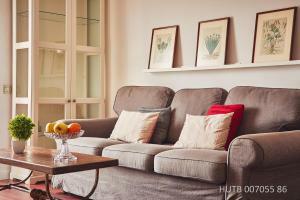 The property is 2.5 km from Casa Batllo. This apartment comes with 3 bedrooms, a flat-screen TV, a dining area, a kitchen and a living room. 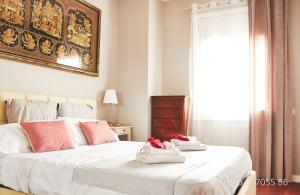 Passeig de Gracia is 2.9 km from the apartment, while Plaça Catalunya is 3.1 km from the property. The nearest airport is Barcelona El Prat Airport, 16 km from the property. Rate: € 89.00 ... € 855.75; select dates below to get current rates.